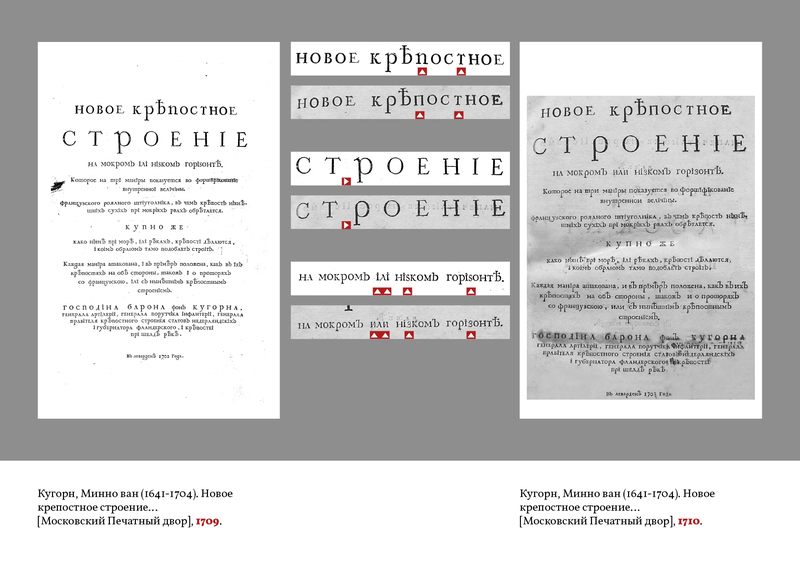 Grazhdanskiy Shrift is an attempt to revive the font, which altered the structure of the Russian alphabet by the reform of Peter the Great. The project is still in a draft. Any contributions are well-come and highly appreciated at Github or here. 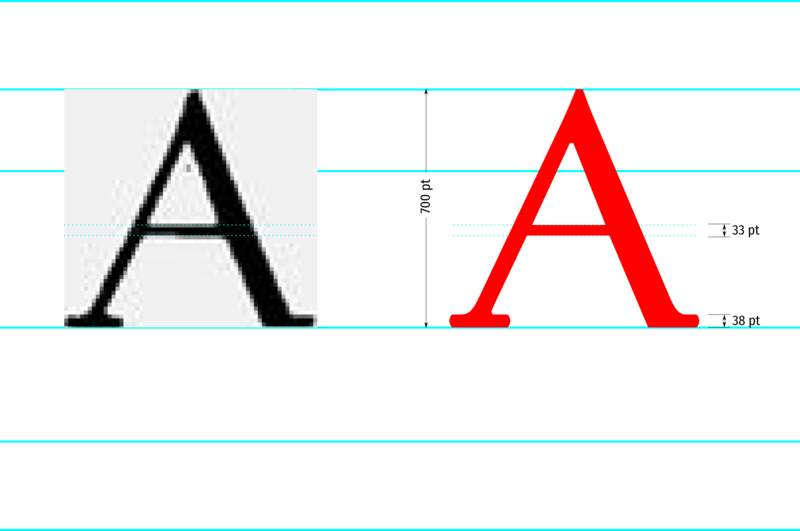 In practice, the font will contain 2 fonts (using the style set) to reflect the major changes that occur in the font after 1710 year. You should probably decide whether you want rounded serifs or sharp cuts and stick with the decision. Well, perhaps this first draft of the typeface will enable him to determine which of those choices would be more faithful to the original that is being copied. Perhaps finding more print samples at higher magnifications of the original would also help in making that decision. Yes, you are correct that most typefaces are designed according to choosing one of those two alternatives, not mixing them from letter to letter. And, thus, most likely, the original implementation of Peter the Great's revised alphabet also shared this characteristic. But to delay the decision in the design process as part of an effort to avoid making the wrong decision is something that I cannot be inclined to criticize too harshly. Alas, it's not so easy to be find print samples at higher magnifications of the original. I've made a list of my sources here. I've got a few reproductions of the original specimen, of various qualities. 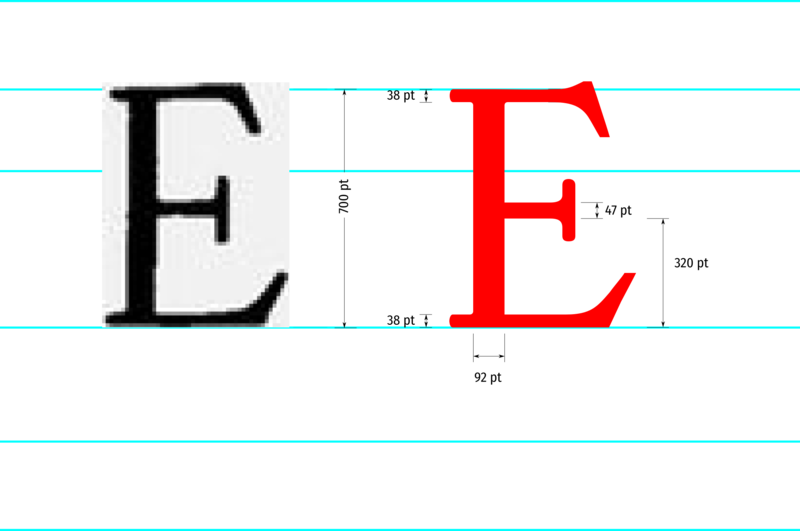 There is some variation in the bracketing of the serifs, notably in the Г and Е which are bracketed at the top left but not elsewhere. 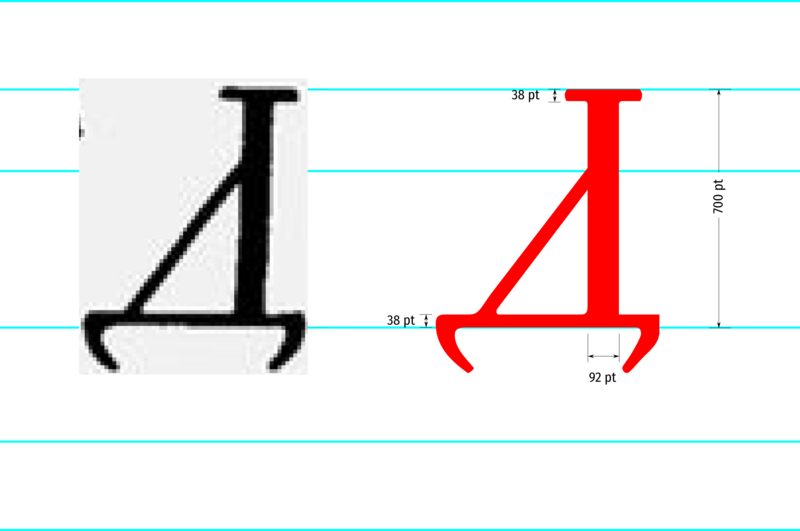 I think the treatment of the lower right tooth of Д is incorrect in your version, probably because the scan of the original is too closely cropped: in the original it isn't so sharply cut, but is more like the left tooth. I finded today two different editions of one and the same book. The first edition is in 1709 year and the second one is in 1710 year. It is interesting to be explored. These different editions show the movement in the typedesign between 1708 and 1710 year. My sources are documented in GitHub. Do you intend to release the Grazhdanskiy Shrift font as a free download, or will it be a commercial font? Grazhdanskiy Shrift will be a free font under SIL Open Font License 1.1. Here is the GitHub project. I think in the original specimen there are ink traps? You can sort of tell by the aliasing. I marked it out for one of the glyphs, [example] and for some others like [this one] it has a rounded corner. @AbiRasheed ;At first glance, the project looks easy. 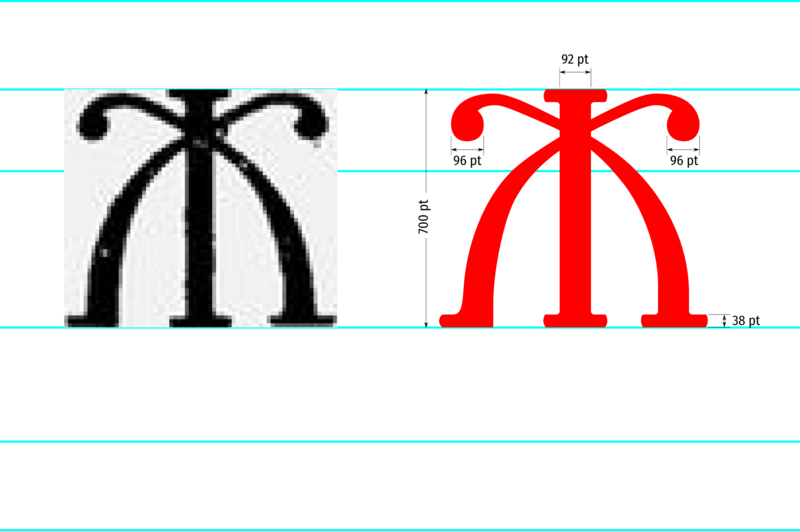 Careful look at the sources, however, shows that many of the glyphs have different variations depending on the size. The project is still at a very early stage of development. So, I'm thankfull for any remark. Thanks for the info, just making sure. 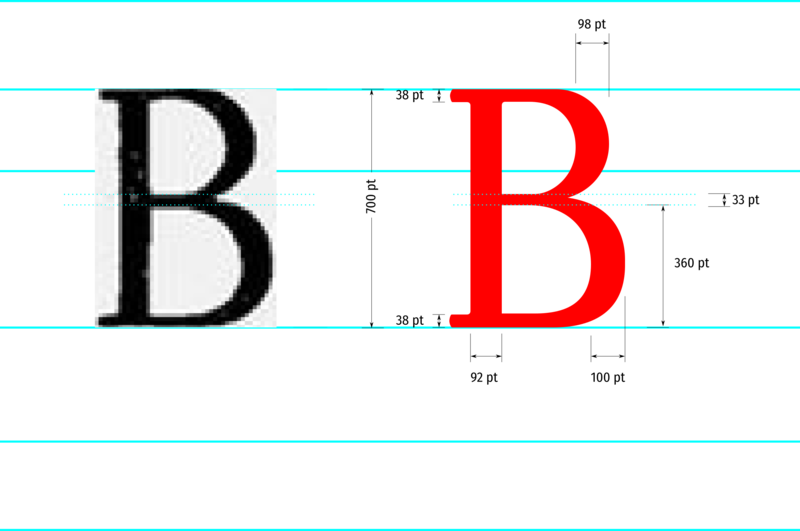 Hmm... Well one solution, I suppose, would be to make separate fonts for the optical sizes, but then I guess it'd be too cumbersome to use multiple fonts. 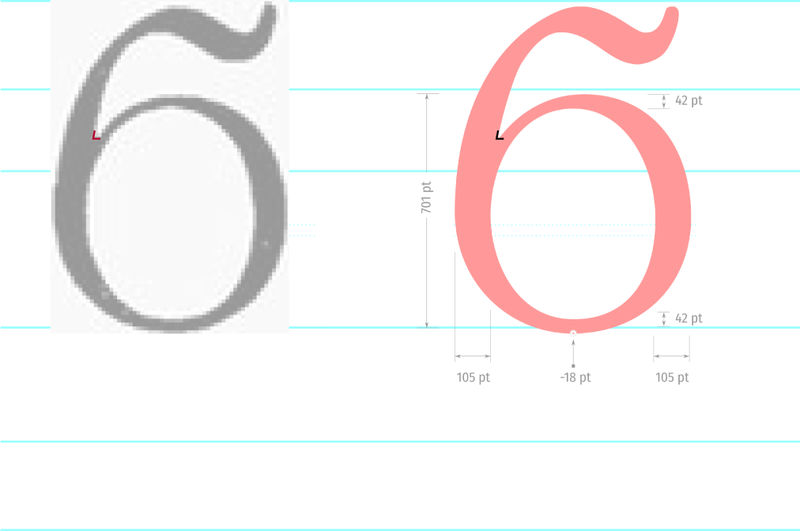 You could, however, put different optical sizes for the characters in the font as alternates. It's your decision, though. I'm simply trying to offer some suggestions. That is what the size feature* is meant for. *) Whatever implementation, OT feature, OS2 table or whatever is in fashion right now. I am not inclined to think for multiple fonts. 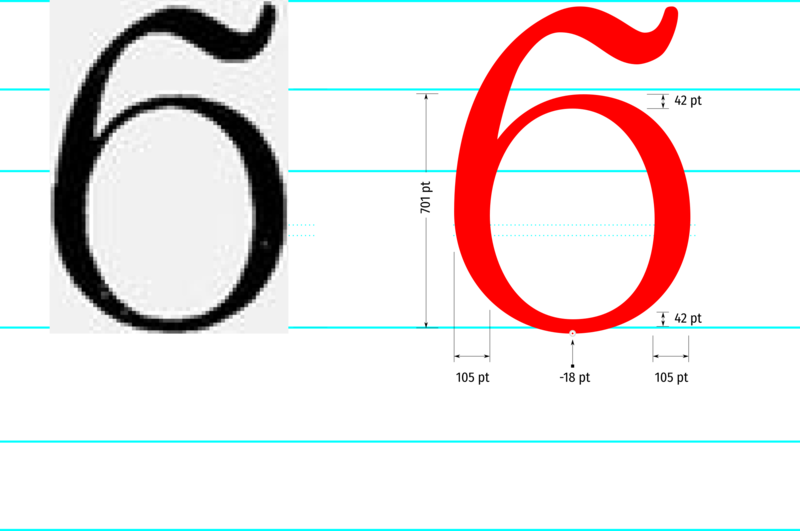 At the moment by default is the variant of 1708 year of the font and as a SS01 is the variant of 1710 year. Off topic: what tool did you use to produce these figures? @Ori Ben-Dor Inkscape and FontForge. Thanks. So I gather FontForge generates these figures automatically, right? No, at the moment most of the things are made by hand. First I draw the glyphs in inkscape, then I save them as a SVG and I import the SVG in FontForge. 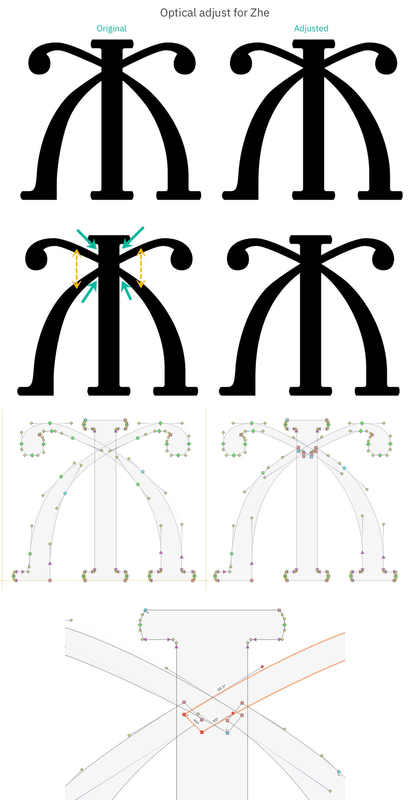 In FontForge I refine the glyphs. After that I export again the glyphs and I make the examples you could see here. Inkscape is an extremely easy tool for drawing. All this is a matter of choosing technology and personal preferences. Perhaps the process can be improved and certainly someone else would choose a different approach - an approach with other tools. 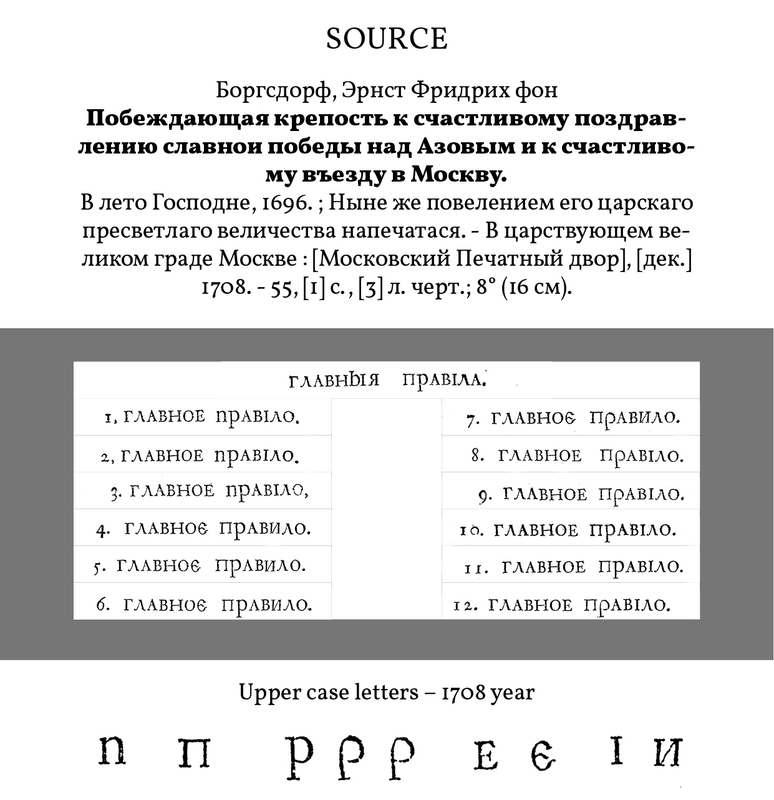 The reform of Peter I has begun the civilian alphabet in Russia (and then among all other peoples who use the Cyrillic alphabet), but careful consideration in the sources shows that the process does not follow the royal will unceasingly, but involves many abnormalities that require self-study and explanation. I do not have enough bibliography to try to study deviations, but clearly empirically some of them can be identified. 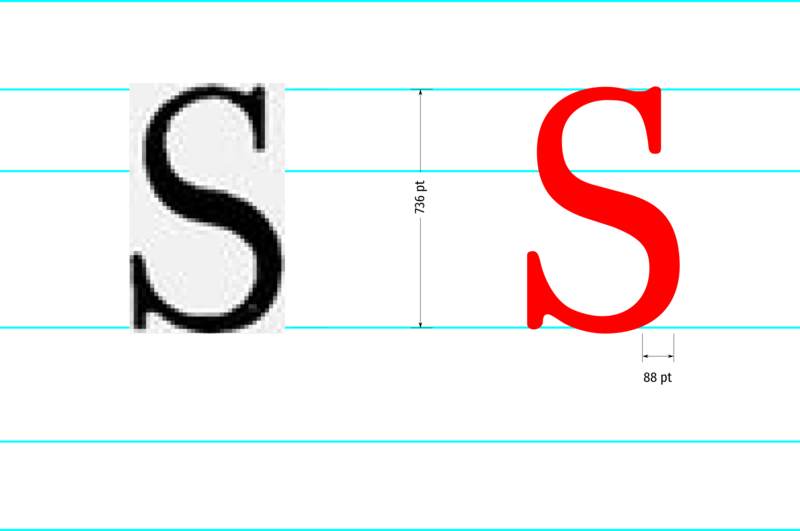 The first significant distinction in the civilian font (noted by Vladimir Yefimov) is the difference between large-size glyphs and glyphs in the medium and small size. 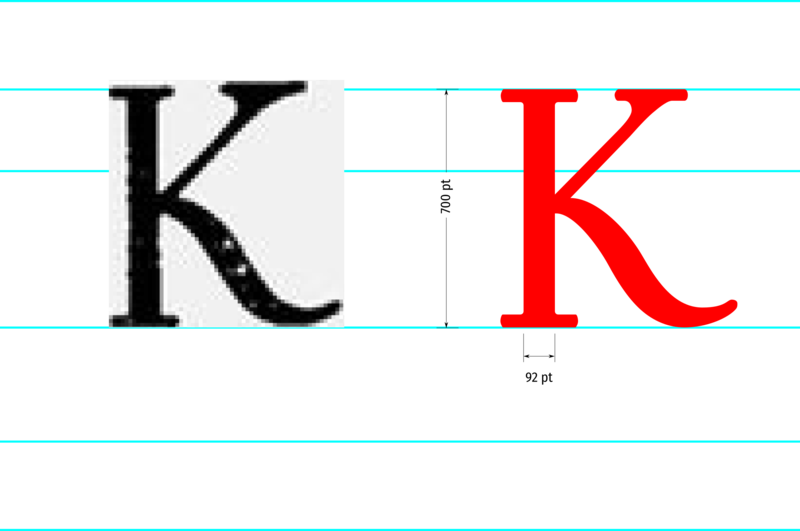 But much more curious are not the structural differences in the font size, but the differences within each of the dimensions. Here is one small example from a book published in 1708 year. Sorry to intrude on this topic, but it's been months now without a reply. 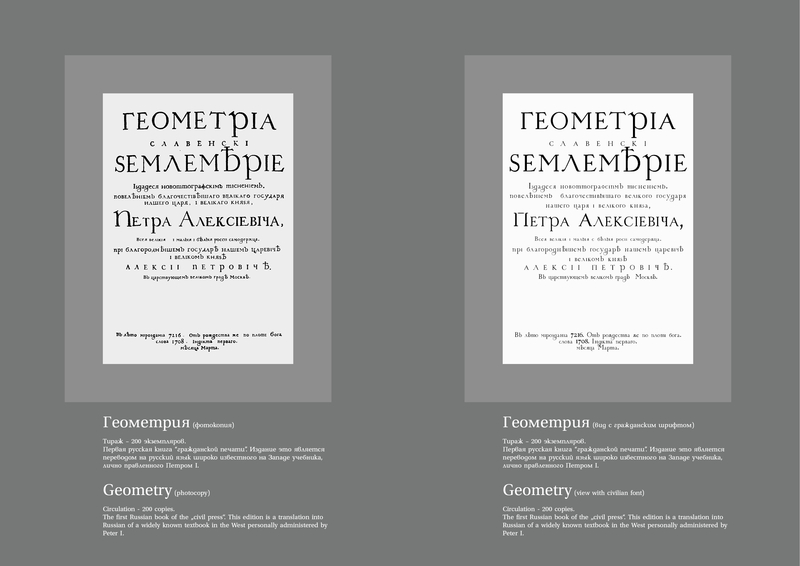 It's sort of interesting to see how your font and "1725 Unicode" differ, the main difference being is that your font is a cleaned-up version of Peter's civil typeface, while the other font is directly digitised from the original examples. 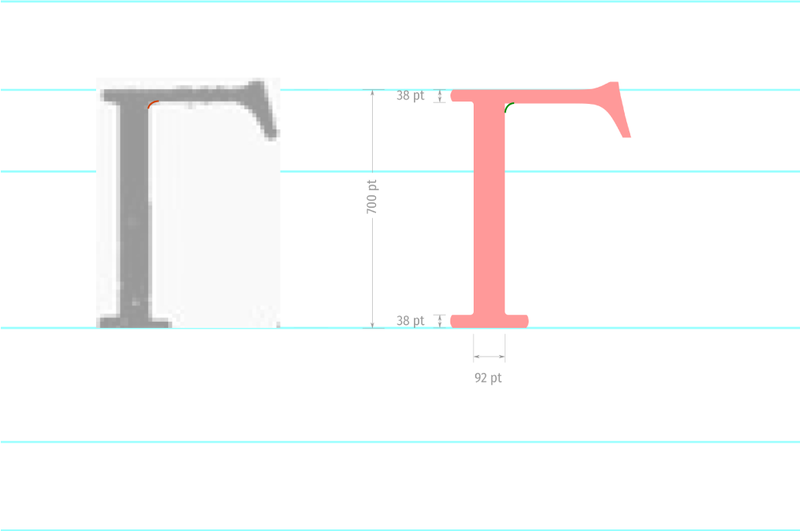 Perhaps when your font has been released, we'll be able to compare the two more thoroughly. Stefan, I think you can use an optical adjust in Zhe. Although the two arms are continuous, they appear displaced due to a known optical illusion caused by a diagonal crossing an orthogonal*. The <90° angles (green arrows) makes parts appear near, while the >90° angles does the opposite (yellow arrows). I made a sample adjust splitting the arms and then making them overlap to compensate the illusion. Just a rough draft, in fact. By the way, I was not able to find the font in your site, as it is informed in Github fonts folder. 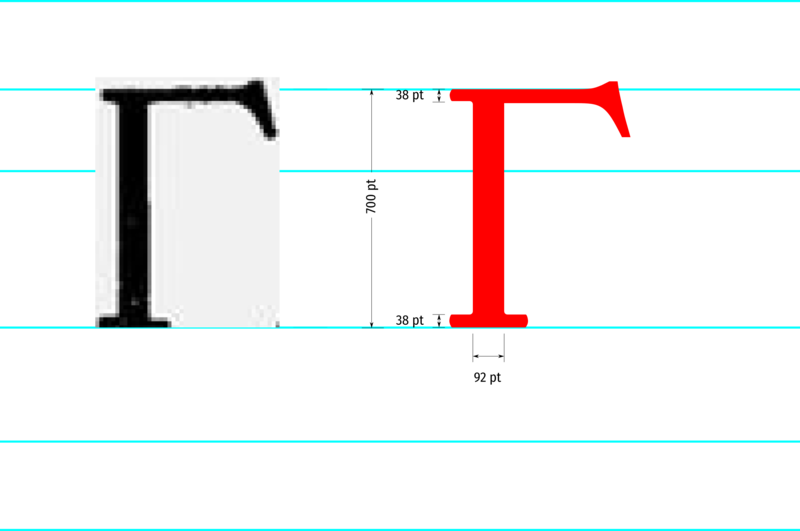 I had to download the project in Github and open the ufo font in FontLab VI. * I learnt this with Frode Bo Helland in an old Typophile discussion about the Nordic ø. A single tip that made me understood a whole universe. Thanks again and again, Frode.